The initial efforts to bring the Hubbard detoxification program to first responders began within weeks of the attacks on the World Trade Center, in response to requests from rescue workers and union officials. At that time, project advisors encountered a consistent response from public health officials: “Time will heal.” The prevailing wisdom was that the problems manifested by rescue workers were an acute response to dust and smoke. Long-term consequences were unlikely. Senior project advisors had a different view. For decades, exposure victims from the Vietnam War and the Persian Gulf War had been hearing the same thing. Yet evidence continued to mount that their problems were real, and chemical in origin. 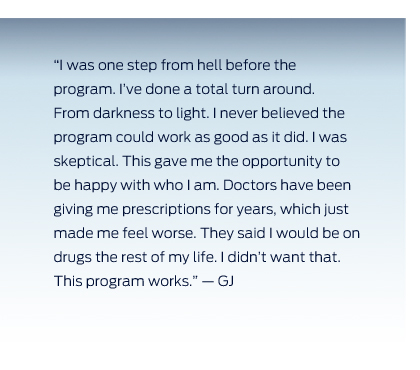 The New York Rescue Workers Detoxification Project opened its doors in September 2002. Tom Cruise, among the first to call for Americans to help the victims of the attacks, led the establishment of the humanitarian effort. This project served more than 1,000 men and women involved in the rescue and recovery operations, enabling them to regain quality of life and job fitness. It set a new standard regarding the speed with which the goals of restoration and recovery can be pursued. Unlike veterans of the Vietnam and Gulf wars, these heroes did not have to wait decades for help.